American Hauntings Ghost Hunt at this Legendary Milwaukee Spot! * Private to the Mansion from 8:00 p.m. to 2:00 a.m. Note: The event allows access to the house until 2:00 a.m. but does not including a sleepover. Private rooms for sleeping are available at a discount (contact the Brumder directly) until 11:00 a.m. Those rooms will be filled on a first come / first served basis. To book a room, call Monica at the Brumder at (414) 218-2202! This will be one of our fastest-selling events -- don't procrastinate and miss out on your chance to experience the most haunted houses in Milwaukee with a private group from American Hauntings! The Brumder Mansion was built in 1910 by George Brumder, who made his fortune as a publisher of German language newspapers, books and music. The house was built for Brumder's son, George, Jr. and he and his wife, Henrietta, lived here, raising 11 children, 9 of which survived into adulthood. The house was sold after Henrietta died in the early 1920s and was purchased by newly-arrived, Chicago gangsters Sam and Ed Pick, who used the place as part of their bootlegging operation. They started a small-scale, speakeasy, in the ballroom located in mansion's basement. Rumor has it that gambling and prostitution also took place in the house. After a trial run in the Brumder Mansion ballroom, the Pick brothers expanded their illegal booze and gambling business, by starting a legitimate business to hide behind, The Club Madrid; a nightclub built conveniently across the county line. The Brumder Mansion ballroom became a high roller's gambling joint, complete with amenities. 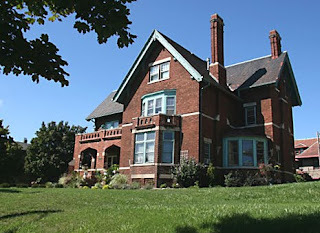 According to the current owners of the mansion, the Brumder house was sold when Sam Pick ran into money problems, following the repeal of Prohibition. After several attempts on his life by fellow gangsters, he eventually retired to Michigan. 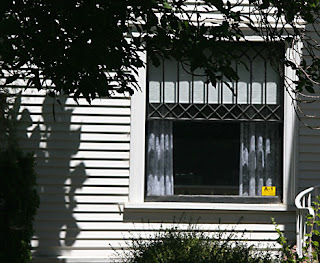 The house went through several owners in the years that followed and in the 1960s, was purchased by the neighboring Lutheran church, who used it as a church parsonage, offices and a youth chapel. The basement ballroom was later turned into a coffee house but by the 1990s, the upkeep of the aging building was more than the church could handle and the house was sold once more. The new owner, Carol Hirschi, began renovating the house, replacing the central heating system, the leaking roof and installed new plumbing. Carol also restored all the woodwork, eventually renovated the 2nd and third floor, and bought many antiques, building on her vision for a restored Brumder Mansion. 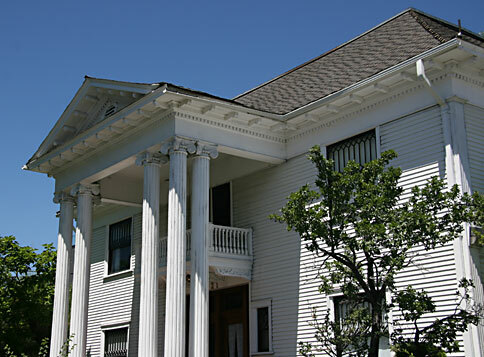 To raise money, she started a bead and breakfast, converted the ballroom into a small theater and started a community theater group, which lasted until the current owners, Tom and Julie Carr, took over the house in 2008 and turned it into a thriving bed and breakfast and event center. After further renovations, they have made the Brumder a welcoming place with great atmosphere and it now serves as an overnight retreat --- and a haven for resident spirits! The first reports of ghosts in the house were publicly made by Carol Hirchsi and continue to this day. 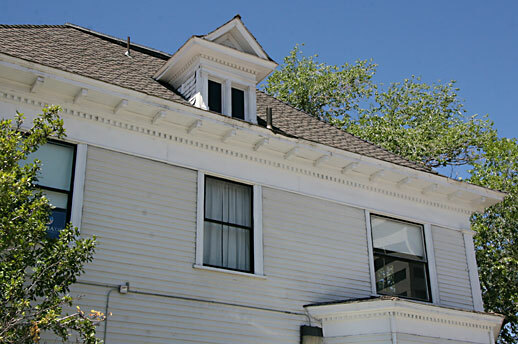 Overnight guests and visiting ghost hunters tell chilling stories of contact with the spirits in the house and a number of them are believed to manifest here. 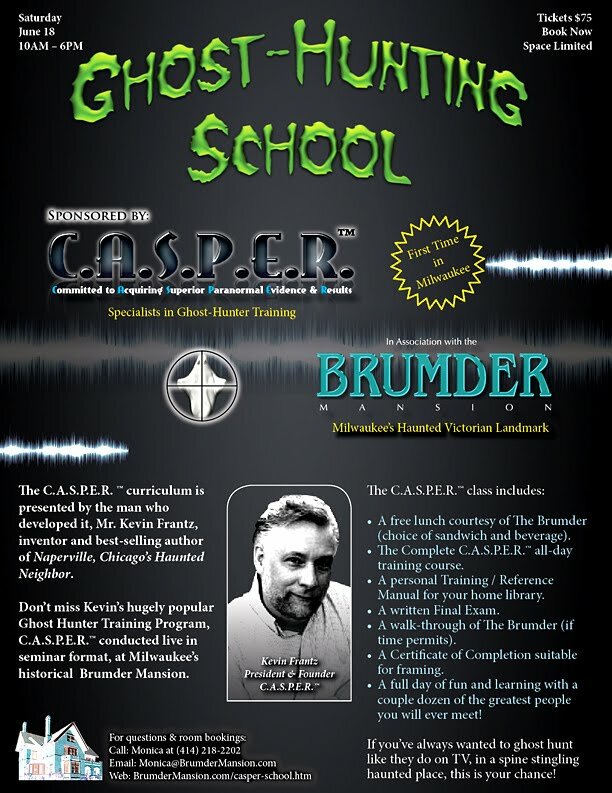 Face to face encounters, as well as startling photographs and eerie EVP's, have become commonplace, leading the Brumder Mansion to be called "the most haunted house in Milwaukee." 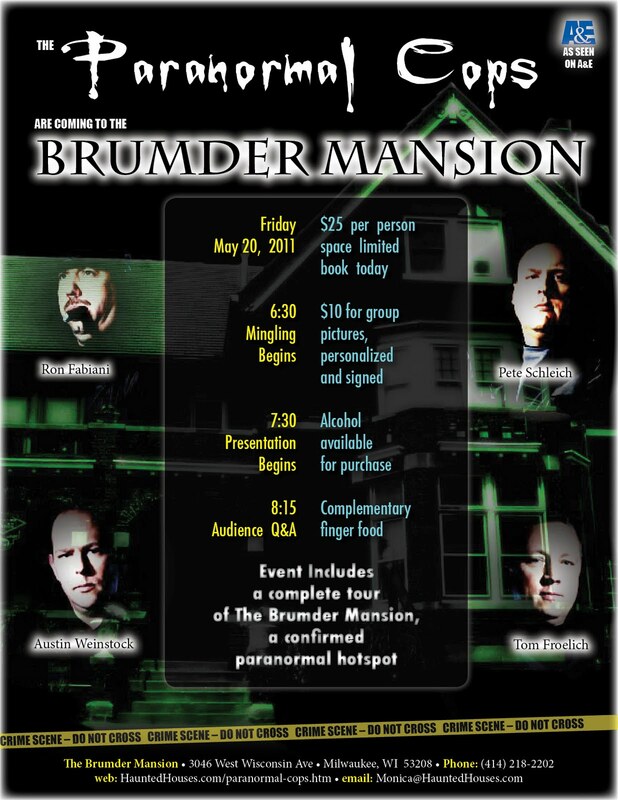 Join American Hauntings for a Private Ghost Hunt & Get a Chance to Meet the Ghosts of the Brumder Mansion for Yourself! HauntedHouses.com: Brumder Mansion Bed & Breakfast can be found on We...: "3046 W. Wisconsin Avenue, Milwaukee, Wisconsin 53208. 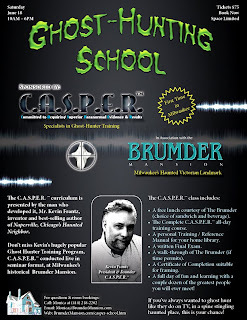 BrumderMansion.com * 414-342-9767 Spend a Haunted Night! 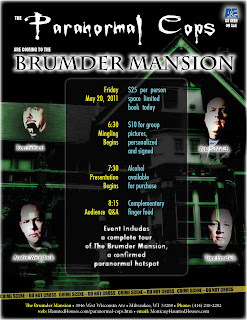 Location: Brumder Mansion..."
Night at the Brumder Mansion - Milwaukee, Wisconsin: June 25, 2011American Hauntings Ghost Hunt at this Legendary Milwaukee Spot! Click Here to Make Reservations for this Event!Very Limited Spots Available! This will be one of our fastest-selling events -- don't procrastinate and miss out on your chance to experience the most haunted houses in Milwaukee with a private group from American Hauntings! Click Here to Register for this Event! History of the MansionThe Brumder Mansion was built in 1910 by George Brumder, who made his fortune as a publisher of German language newspapers, books and music. The house was built for Brumder's son, George, Jr. and he and his wife, Henrietta, lived here, raising 11 children, 9 of which survived into adulthood. The Harlow / Bern House can be found on Easton Drive, in Benedict Canyon. 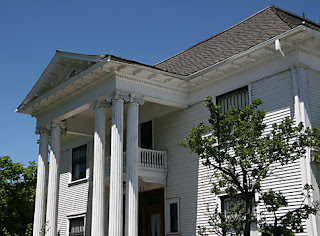 This house is a two story, Bavarian-style mansion that has unique gutter spouts, which are life-sized, wooden carvings of various silent screen stars, such as Pickford, Fairbanks, and Valentino. It also has a lovely swimming pool. A grand wooden staircase connects the first and second floors. The mansion was owned for a short time in the late '20's and early '30's, by Jean Harlow and her husband, MGM producer, Paul Bern, who had a stormy marriage, which ended when Paul Bern shot himself in the head. 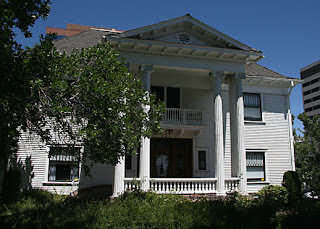 Some claim that the mansion was jinxed because of Bern's suicide. Two other people died there, drowning in the swimming pool. One man who didn't believe in jinxes bought the place in 1963, a popular hair dresser to the stars, Jay Sebring. He met and fell in love with a young 20 year old actress, Sharon Tate. They stayed together as a couple until 1966, when Sharon left him for her soon to be husband, Roman Polansky. Jay was a good sport, and considered Sharon and Roman his family. However, Jay and Sharon stayed very good friends, up to their murders at the hands of the Manson family. Right before Sharon fell in love with Roman in 1966, she was spending the night alone in Jay's mansion. She was trying to sleep in Jay's master bedroom. Overwhelmed with an uneasy feeling of a strong unseen presence, she jumped at every noise, as she lay on the bed with the lights on. Suddenly an apparition of"a creepy little man" scuttled into the bedroom. Sharon recognized the ghost to be of Paul Bern, who totally ignored her, so intent in his mission to find some unknown thing. Sharon quickly threw on her robe and left the room in a hurry, only to find a more frightening sight on the staircase leading down to the first floor. About halfway down the staircase, she saw a ghostly form, who was tied to the posts, with its throat cut. Racing past this ghastly scene, she hurried into the living room, trying to find where Jay kept his liquor, as she was feeling the need for a drink. When she couldn't find anything, she suddenly got a strong urge to push on one of the bookcases, which revealed the sought after bar. Shaking with fright by this time, she poured herself a drink to steady her nerves. She suddenly got another urge to tear away the wallpaper along the base of the bar, revealing a solid copper base. She then walked back up the stairs past the ghastly apparition on the stairs, past the creepy little man who was now pacing the hallway, back to her bed, where she crashed. The next morning, she thought that she had had a terrible dream, but realized it all had happened when she saw the copped-based bar and the wallpaper she had removed. Some entity, perhaps Harlow, perhaps one of the people that drowned in the pool, was either trying to warn Sharon or give her a preview of her own ghastly fate. In 1969, after she had married Roman, and was almost 9 months pregnant, She and Jay were together at Sharon and Roman's mansion. Roman was away directing a film. When the Manson family invaded the home, Jay died trying to defend Sharon, and Sharon suffered a ghastly death, like she saw on the stairs that night at Jay's home.